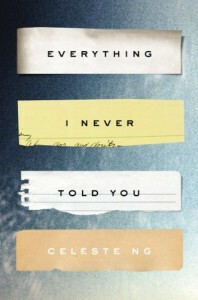 Celeste Ng has written a haunting yet beautiful story. I never wanted the novel to end, yet I had to keep reading! When middle child, Lydia Lee disappears, her family’s lives are changed forever. Ng has the reader hooked from the first line. She builds suspense examining the family’s present, while entwining their past. This is not a typical mystery book; Ng has created a family that has complexities both internally and externally. She has the reader wanting the Lee family to prevail, yet there are significant challenges they must face. I would recommend Everything I Never Told You to someone in a heartbeat! This novel moved me, I felt for the Lee family and their challenges. I received a copy of the novel from TheReadingRoom in exchange for an honest review. Even though Soldier Doll was written for a younger demographic, I really enjoyed it. The main character, Elizabeth, is looking for a present for her father’s birthday when she comes across a small doll that resembles a soldier. Shortly after purchasing the doll, Elizabeth is introduced to a poem written about a similar doll that is gifted and lost by the author’s sweetheart during WWI. With the help of her father, Elizabeth begins to follow clues to the doll’s past. 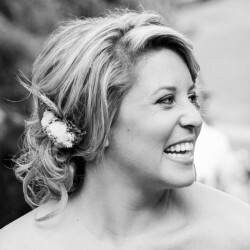 Soldier Doll incorporates Elizabeth’s story and those of the doll’s previous owners. I really enjoyed each individual story. I actually enjoyed the various doll owner stories more than Elizabeth’s. 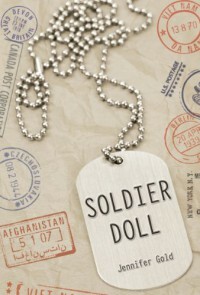 I know I am a little biased because historical fiction is my favorite, but Soldier Doll was a great, quick read. 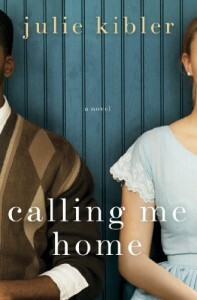 Calling Me Home was one of those books that you do not want to end, yet you want to know the ending. I was drawn into Isabelle’s story immediately, so much so that I started and finished the book in the span of a few hours. Yes, there is a love story; but Calling Me Home is also a story about friendship and honesty. Honestly, I loved this book; it evoked a wide range of emotions and I even shed a few tears. As a fan of historical fiction, this was the perfect book for me and I highly recommend it to those with similar taste. 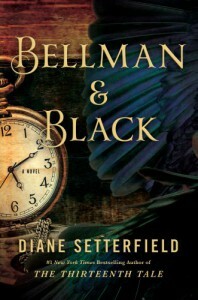 I cringe writing this…I loved Diane Setterfield’s The Thirteenth Tale (it is a part of my top ten reads), but this book was just not good. I have this little rule with myself to keep reading, because often I find myself really liking a book. Unfortunately, this was not the case for Bellman & Black. I kept waiting for something to happen, it never did. Bellman & Black was three hundred plus pages of “ehhh”. I am hoping the next one will be better! I received this book as a part of a Goodreads giveaway. 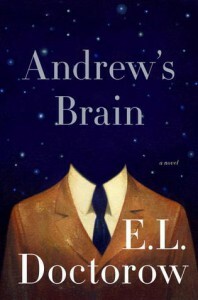 I was intrigued by the premise of Andrew’s Brain. I have been trying to expand my literature intake and Andrew’s Brain definitely fit the criteria for me. The first fifty or so pages I struggled and I mean struggled to get through (you can see in my status updates and how long it took me to get to page 45 of a 200 page book); however, once I start a book, I have to finish it. I am glad I have this little rule with myself because Andrew’s Brain is a moving story. When I finished the novel, I had to sit back and think about Andrew and everything that brought him to his discussion with “the doc”. Andrew’s Brain, to me, is about how much pain a person can experience before they eventually break. I would love to write more about the actual plot, but I fear I would give away far too much for a potential reader. If you typically read a specific genre, Andrew’s Brain will take you out of your comfort zone, but I urge you to keep reading as the novel has a resonating effect long after you read the last page.